Printable Coupon: Join Olive Garden's e-club and get a coupon instantly for a free appetizer or dessert with 2 adult entree purchase. Coupon Preview. Combine these gift cards with your olive garden coupons for extra savings. In Store: Show this coupon to your server and get 50% off one dessert with the purchase of an appetizer. Includes unlimited house salad, soup, unlimited breadsticks, and one lunch duo item. Dine in only. In Store: Print coupon for a free appetizer or dessert when you purchase two adult entrées at your local Olive Garden restaurant. Printable Coupon Or Mobile: Save up to 20% with your family or friends at olive garden. (10% off for two guests, 15% for three guests, 20% off for four). Excludes ToGo and catering. Printable Coupon: Present this coupon to receive a free order of meatballs with any entree purchase. Printable Coupon: This coupon may be redeemed for one $1 Kids Meal with the purchase of 1 adult entrée. Limit of two $1 Kids Meals with the purchase of two adult entrées per coupon. Printable Coupon: Get $5 off your meal over $30 at your nearest Olive Garden restaurant. Can be redeemed for 1 tastes of mediterranean entree including chicken, linguine di mare, tilapia, and grilled salmon. Just print the whole email or show coupon on your mobile device to server. Get 20% off when you bring a friend and present coupon. Dine at an Olive Garden restaurant near you to enjoy a flatbread lunch combination for only $7. Choose your favorite: grilled chicken, pizzaiola or mediterranean. 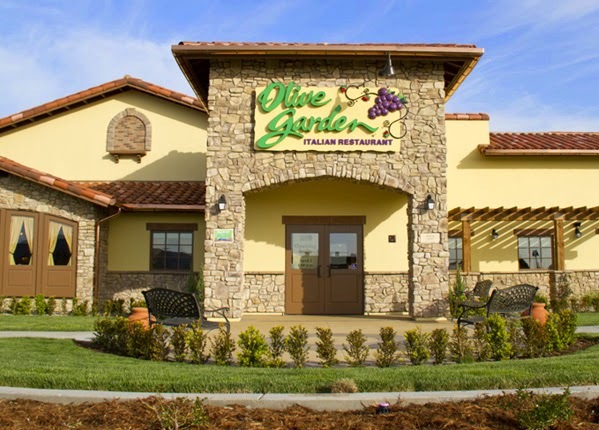 Olive Garden is a popular Italian restaurant chain that focuses on the warmth of enjoying a meal with family and friends in true Italian fashion. Enjoy their famous breadsticks and salad before indulging in a meal of spaghetti and meatballs, lasagna, or a “Tour of Italy” combination of Italian favorites. Their pasta tastes even better when you use their coupons.